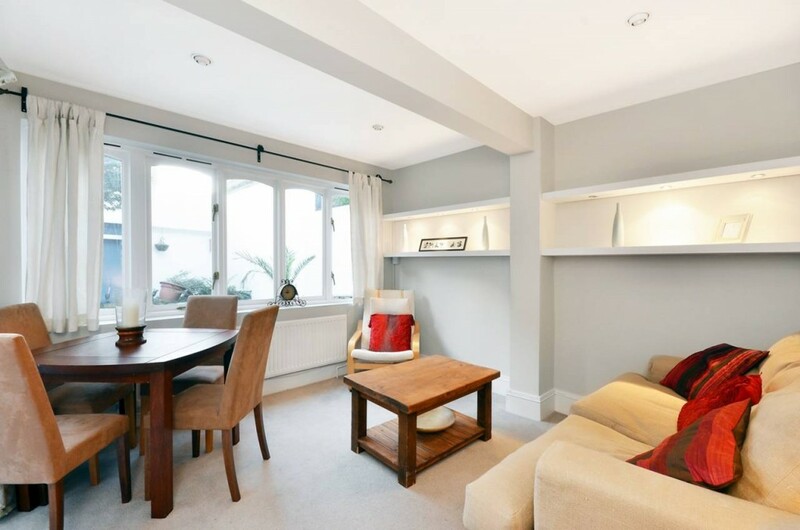 South Clapham Flat Rental, Alderbrook Rd. As your London Relocation agent, we are proud to give you an inside look at this South Clapham flat rental. Traditionally English in every way; from the front of the rental to the back private garden oasis this apartment rental really won’t stay available for too long. 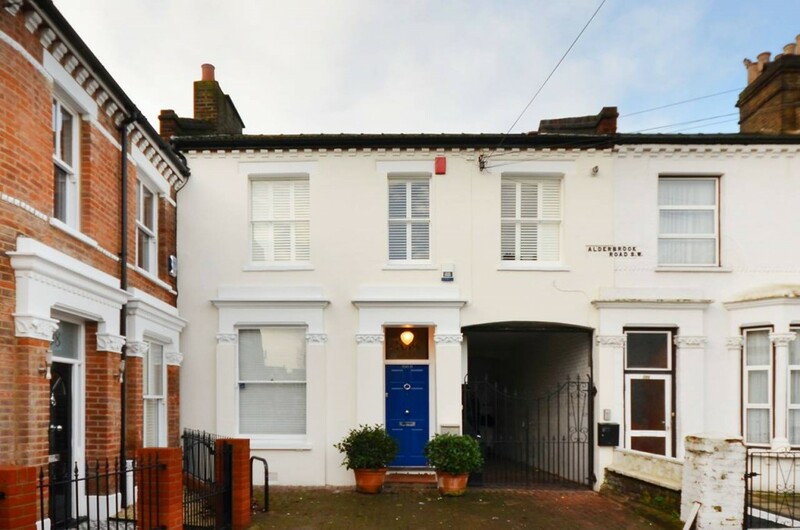 When you first arrive you will recognize the cheery blue entry door, but what waits inside really has some great features, but let’s first talk about the South Clapham flat rentals location. 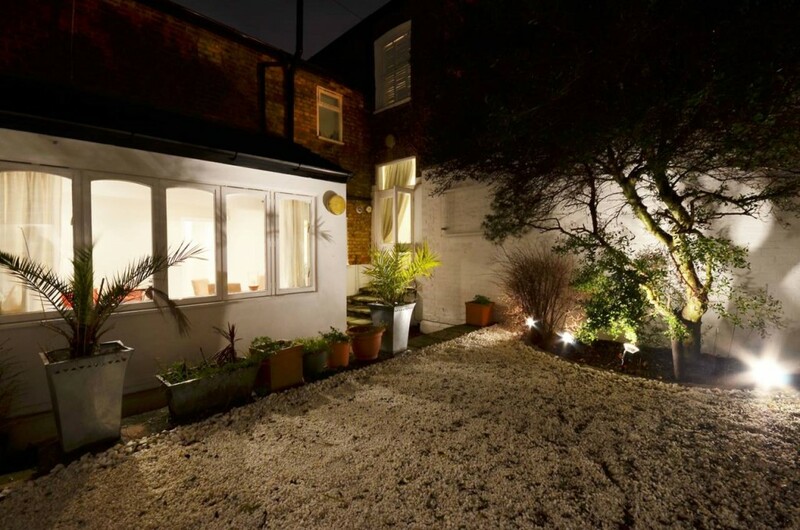 It true what the agent made mention of on this properties home page; Alderbrook Road is an entirely residential street, right within walking distance to the boutiques, eclectic shops, restaurants and pubs of both Balham high street, and Abbeville Road, South Clapham. 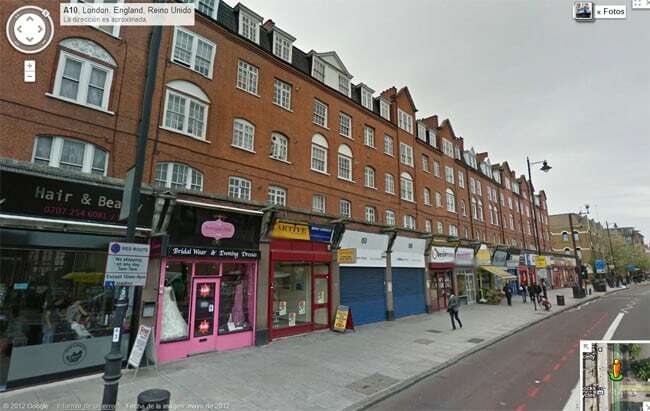 Certainly, the South Clapham Tube Station is within six blocks of this apartment, but it’s the Balham High Rd we will explore. So, if you are up early and are looking for a café’, the Gazette Balham is a little French café and brasserie that stays open until 11 p.m. Also, open early is the Bistro Union, but that is on Abbeville Road, not far away, only open for breakfast and lunch, closing at 4:00 p.m., it was on the list. Lambert’s on Balham High Road closes after lunch at 2:30 p.m.; they serve seasonal British food. But if you find you are out at any of the nearby pubs until late and they’ve stopped serving there are two late night options nearby. 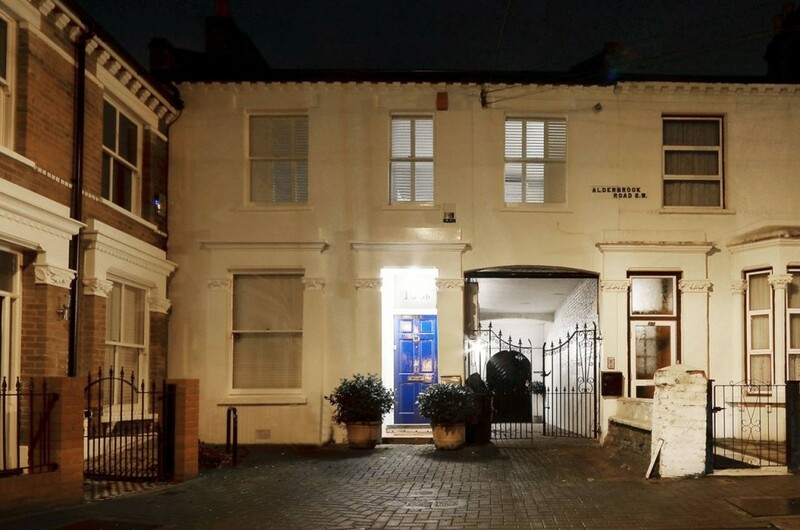 The Avalon, a warehouse styled pub and beer garden is open until 1:00 a.m. and takeaway from Chatkhara serves until 4:00 a.m.; both are on Balham Hill, so close to this South Clapham flat rental on Alderbrook Rd. One of the nicest points of the reception area is that it overlooks the private gardens which are viewable through the wall of decoratively shaped large windows. The dining area is just inside the windows and there are shelves and overhead exposed beams that really add to the architecture of this apartment. The bedrooms in this two bedrooms flat are spacious and double sized. There are wardrobes in each bedroom for storage, in addition to chests of drawers. Both are tastefully decorated and include window treatments and carpeted floors. The unique thing is that the master opens out a double sliding door onto the private garden. 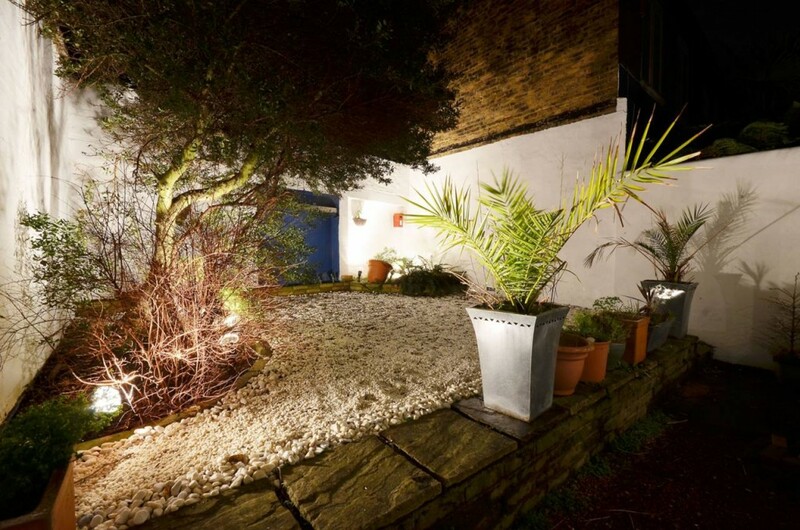 There are a number of photos of the garden both by day and by night so be sure to take a look by clicking on this bedroom photo; there are 14 photos in total. 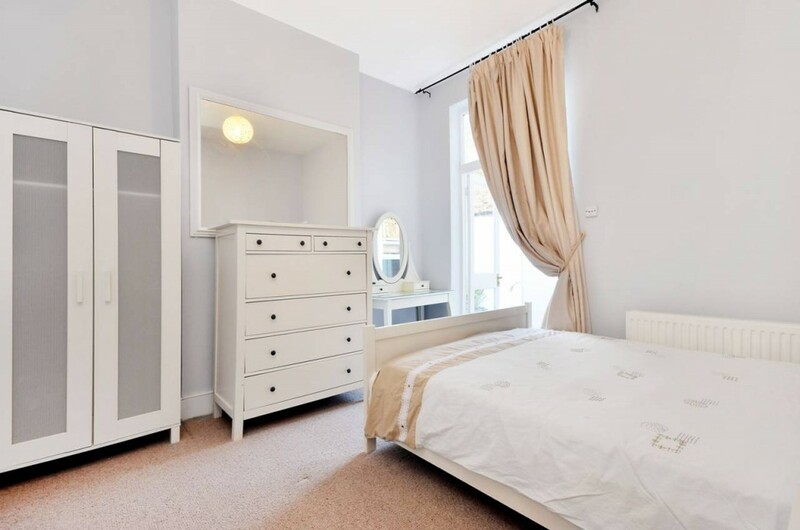 One thing is abundantly clear; this South Clapham flat rental will be a good choice for those who are interested in the area. With all the great places to eat and go out within walking distance, there is so much to like about this place. So call on us, your London Relocation agent and have us answer any questions that you might have on this listing or any other.